Keyhole is a great Topsy alternative — for several different reasons. This tool shows you all the numbers you need to see to make critical marketing decisions. It also lets you monitor more than just hashtags. Try monitoring keywords, URLs, topics, social media handles and more. You can even track mentions and keywords across news, blogs and forums. It can show you your top posts in terms of engagement and recency, user demographics, percent of positive vs negative sentiments, and location. By providing quality social media analysis, Keyhole arms you with the relevant metrics you need about specific campaigns, hashtags, keywords, or social media accounts — on Twitter and other social media platforms. You also have access to all this information beforehand so you can make an informed decision about whether or not you want to sign up for a free trial or perhaps a paid version of the software to access even more features. TweetReach is also one of the best Topsy alternatives you can use. This tool provides you with quality insights about your audience on Twitter — how many of them are tweeting about your brand, the specific accounts with the highest level of tweet engagement, and the total reach (the number of accounts reached when they all tweeted using a specific keyword, hashtag or @mention within a specific period). However, unlike Keyhole, you need to sign up to use this tool. 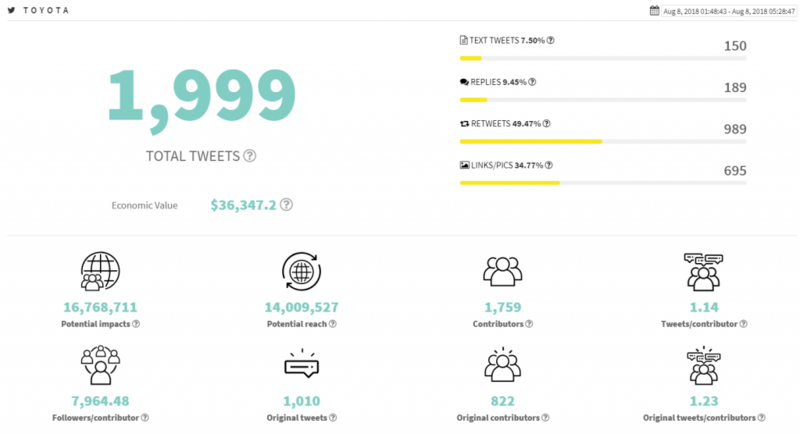 But once you’re in, it shows you the most retweeted tweets about your brand, specific competitor, keyword or hashtag. All these metrics give you the much needed information you need to make smart marketing decisions. For example, when a certain tweet keeps getting a significant number of retweets, you know your audience have a strong affinity for that kind of content and you’re able to create campaigns around it. TweetBinder is another Topsy alternative worth mentioning here. It is a social media tracking tool that helps you analyze and display powerful Twitter and Instagram metrics. Like the other Topsy alternatives mentioned here, Tweetbinder shows you how impressions (potential impacts), reach, contributors (number of tweeters for a specific keyword, hashtag or mention), and many other important metrics. This tool also shows you your most active brand advocates (or advocates of specific keywords or hashtags), retweeters, most popular tweeters, users with the highest impact, and even top photographers engaging with your keywords. So does life move on after Topsy? Yes. All of these tools provide you with metrics that show in-depth data about your Twitter audience. Some of them are as good as Topsy and some are even better. You get to make smart decisions in marketing to consumers on Twitter and improve your ROI.